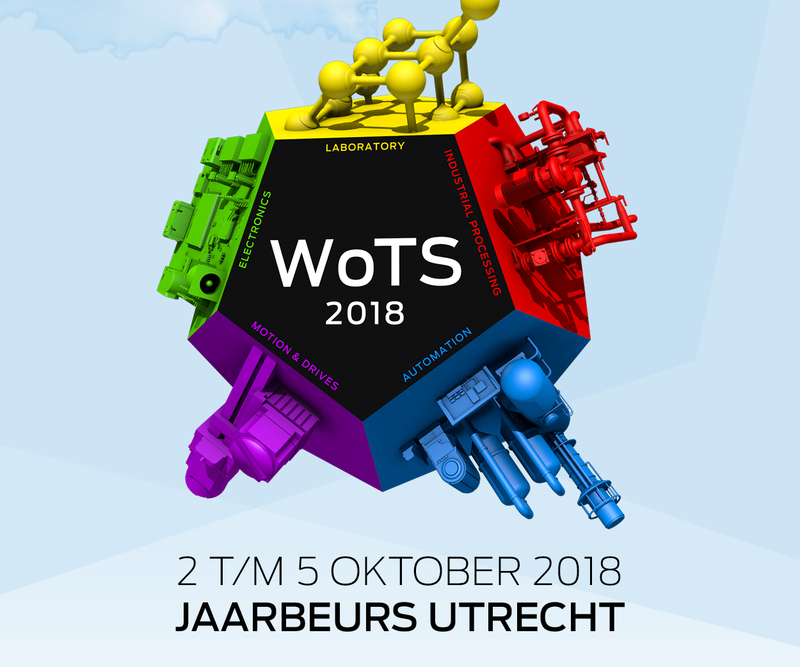 The World of Technology and Science and the Industrial Processing exhibitions will, for the first time, be showcased as one exhibition this year – WoTS 2018. Taking place from 2 – 5 October 2018 in Utrecht, Netherlands, this landmark trade show brings together the World of Automation, World of Laboratory, World of Motion & Drives, World of Electronics and Industrial Processing exhibitions under one roof, providing a rich opportunity for exhibitors and visitors to capitalize on a range of expertise in different sectors. Each exhibition program will focus on its own target sector with interactive exhibition presentations and a wealth of international technology providers on offer. Visitors from various processing industries are expected, including chemical, pharmaceutical and other scientific industry experts. Russell Finex will present its range of innovative and award-winning industrial separation solutions suitable for a variety of processing industries. A team of machine experts will be on hand at the show to provide advice and insight on the most suitable separation solution for a range of wet and dry materials, with a variety of upgrades and customized options available to suit the exact needs of specific products, hygiene specifications and production lines. - The Finex Separator™ - This vibratory separator provides significant improvements in sieving accuracy, capacity, noise levels and upgradeability. A popular industrial sieve for use in grading up to five fractions of wet or dry material, this range of separators can be applied to other separation methods such as dewatering, de-dusting and product recovery. The Finex Separator™ will be demonstrated with the Russell Vibrasonic® Deblinding System at WoTS 2018. This ultrasonic screening technology enables fine mesh sieving of difficult powders. An ultrasonic frequency reduces tension on the mesh screen, eliminating mesh blockages and providing improved sieving throughput and increased production rates. - The Self-Cleaning Russell Eco Filter®: These self-cleaning filters ensure operator safety, with a fully-enclosed design. An innovative self-cleaning wiper system means no downtime to strip down and clean cartridges, and a range of sanitary and high-temperature models are available. - The Russell Compact Sieve®: A high-capacity vibratory screener offering increased throughput despite its compact design, fitting easily into any part of a production line. This versatile check-screener is a popular industrial solution to ensuring the quality and consistency of bulk powders and granules, suitable for a variety of industries. Visit Russell Finex at Stand B031 to find out how a range of innovative and customizable separation solutions and upgrades could benefit your production line, or try the online Interactive Application Finder now to find your most suitable machine.